Enjoy the quiet and grandeur of Victoria's historic Rockland district with a self-catering stay in one of our immaculate one bedroom vacation suites. Stroll across the street and enjoy the 36-acre gardens of Government House. Saunter 4 blocks south to the ocean and view the Olympic Mountains across the straight of Juan de Fuca. Explore neighboring Craigdarroch Castle and the Victoria Art Gallery on the way to downtown. Located on the garden level of Abbeymoore Manor your suite has a private entrance patio and all the comforts of home. Large screen HD TV's, Wifi, parking and a daily newspaper are all included. As a bonus perk guests enjoying a vacation suite stay are invited for a complimentary "welcome" breakfast in our B&B dining room. Abbeymoore is a Family Oriented B&B. We welcome families with respectful children. A dog under 30 lbs who is well trained is welcome as a guest in this room. Please refer to our Pet Policy for more info. Our current rates for our vacation rental suites are $2,100 per 30 day period. You can book the 30 days (or longer) beginning any time of the month. 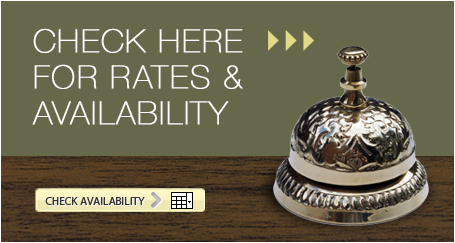 Stays that are longer than 30 days but less than 60 days will be prorated to the 30-day flat rate. Should there be a different time frame that you need to book, please give us a call or send us an email to innkeeper@abbeymoore.com and we will be happy to make arrangements directly with you.